Chinese media continue to emphasizes the CPC’s commitment to reform, but with few specifics. 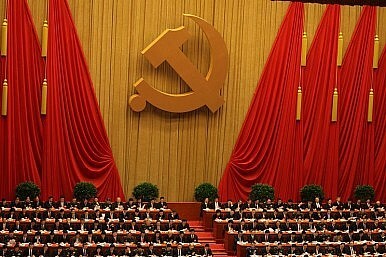 At the meeting, the Politburo’s Central Committee repeatedly committed to continuing China’s reform. Specifically, the report emphasized continuing the twin pillars of “a proactive fiscal policy and prudent monetary policy” as China seeks to rebalance its economy. China will continue to take steps to increase its domestic demand, creating a more consumption-based economy. However, the participants also agreed to keep China’s economic growth “within a rational zone,” lending credence to those who believe the CPC will not allow economic expansion to dip below a “red line” of around 7 percent growth. The CPC Central Committee’s final work report, as reported by People’s Daily [Chinese] contained a few more details. The report urged the CPC to center its efforts on economic reform and seek “new breakthroughs” in “important reform areas.” The government vowed to seek “high-level” economic openings, but also promised to nurture the internationally competitive abilities of domestic firms — a process many have argued comes through unfairly privileging domestic firms (the exact opposite of increased “opening up”). Meanwhile, Xinhua also reported that the CPC Central Committee Party School held a recent workshop on reform for provincial leaders and ministerial level officials. At the beginning of the workshop, Chinese President (and CPC General Secretary) Xi Jinping highlighted the need to find a “stable and effective” system for development. He praised the history of the CPC but also urged attending officials to continue to improve the “integrity, capability and skills” of the Party as well as increase its efficiency. “Without confidence, the CPC will not have the courage to reform and without reform, confidence will not last long,” Xi told the workshop attendees. In his closing remarks, Liu Yunshan, the President of the CPC Central Party School, focused more on putting reform into practice. He told officials to implement specific reform policies with an eye towards the overall goal of reform of reaching the “stable and effective” development model Xi mentioned. He also emphasized the importance of seeing “concrete results” from the reforms. The coverage of these two political meetings is part of a media campaign aimed at promoting reform ahead of next month’s National People’s Congress meeting. In addition to covering the two meetings in detail, Xinhua also published an article calling 2014 the “key to China’s economic reform.” The media coverage is setting the stage for 2014 as a critical year for new economic reforms, although as usual specifics are vague. Most of the policies mentioned by name are not new, including an emphasis on agricultural modernization and reform, urbanization, and increased environmental protection. It’s unclear what new steps the CPC will take to push these policies forward. The CPC, led by Xi Jinping, is certainly setting 2014 up as a big year for new economic reforms. The question now is what exactly the government has in mind, and whether its idea of “new breakthroughs” meshes well with the expectations of the rest of the world.